There are many ways to describe the location of last week’s Photo Challenge. Post Road West, right over the bridge. The 2nd floor apartments over Arezzo restaurant, Winfield Street Deli, Stephen Kempson and Age of Reason. The Hunt & Downs Building. Across from National Hall. All are correct. It’s a familiar sight, even if the angle was different. Click here for the photo. Congratulations to Tom Ryan, Elaine Marino, Rich Stein, Fred Cantor, Seth Goltzer, Bruce Salvo, Linda Amos, Rosalie Kaye, Bobbie Herman, Martha Witte, Joelle Malec, Yvonne Ferris, Joyce Bottone and Michael Calise. No matter how they identified it, they nailed the challenge. We’ve all walked by it — often. But how many of us actually notice it? If you have, click “Comments” below. This entry was posted in Downtown, Local business, Photo Challenge, Restaurants and tagged Age of Reason, Arezzo restaurant, Post Road West, Stephen Kempson, Winfield Street Deli. Bookmark the permalink. Bulletin Board at Winslow Park. Nope – NOT Winslow Park! Park off South Compo that is such a secret that I lived here 44 years before seeing. O.K. 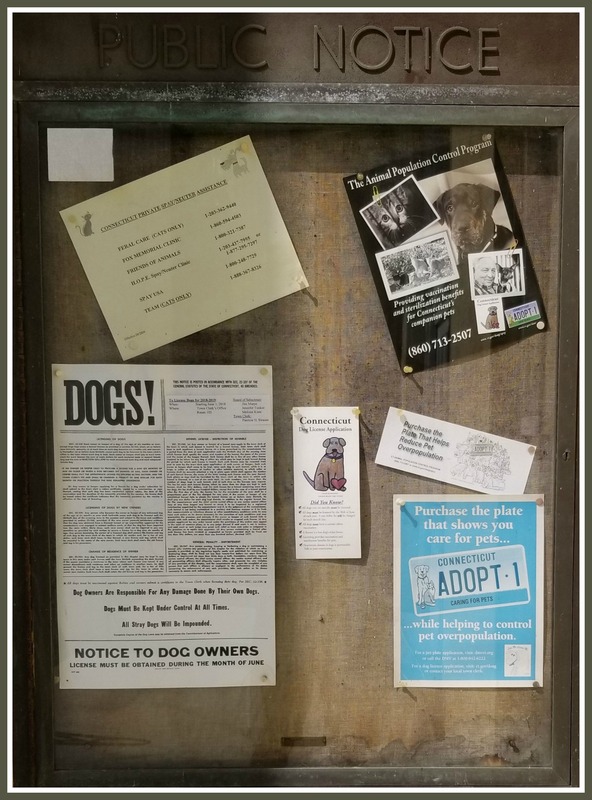 I want to admit that I really have no idea but looking at the posted notices my guess is that it would have to be near the ASPCA on the Post Road. No sir. Hint: It is not in a “dog-friendly” place, surprisingly. Near the Playhouse Parking lot entrance to Winslow Park!